Your business may be closed for the holidays but social media never sleeps! Your customers and users who follow you on social media platforms can stay connected with you while you’re spending time with your family. However, it should be a reciprocal relationship. They may have questions and comments on a holiday such as Christmas but it’s also a way for you to connect with them! Set yourself up for success with some careful planning to perfectly and gracefully handle your business’s social media accounts during the holidays! It is always a good idea to have a social media content calendar. With a calendar, you’ll have an overview of the posts that you’ll have set for an extended period of time and it can help ensure that you don’t miss any important dates such as holidays. Scheduling posts in advance can definitely prevent last minute scrambling. Since you’ve already read up on the best holiday social media campaigns for your business, you should be well-prepared! The aspect of scheduling posts that is the most important is the timing of the post. A recent study discovered the best times to post on social media during the holidays. Posts can easily be lost in a sea of other posts in timelines no matter how great its content is. Perform the necessary research to understand your audience and their tendencies and give yourself the best opportunity to get your social media content its maximum exposure. Let’s be honest. If you’re passionate about your business, you’re very likely connected to your phone or mobile device even on holidays. Check in periodically to make sure that no questions, complaints or concerns have been lingering for too long. 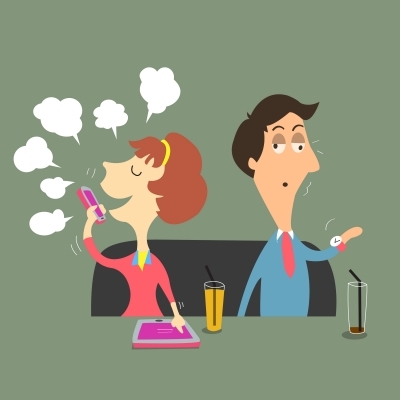 72% of customers expect a response on Twitter within one hour. One can’t reasonably expect all brands to meet those expectations especially on a holiday but be mindful that situations can arise and that action may be needed in some instances. You can also designate social media team members to ‘stand guard’ and ‘take watch’ in shifts. An alternative is to let customers know ahead of time that customer service including social media platforms will have limited or no availability during the holidays. It’s important to interact with your audience especially if it’s not something negative! Pass on the holiday cheer by being as excited as they are about the holidays and your products & services. Above All Else – Have Fun! This last one is of special significance to Ready Artwork since it is one of the company’s core values. The Social Media experience should be engaging, helpful and fun! We are often so immersed in our work or running our business that we forget to have fun! You can schedule posts showing company culture or even create spontaneous posts. You can also simply wish people a happy holiday with a fun graphic. Here at Ready Artwork, we like to display our company’s culture to our followers. 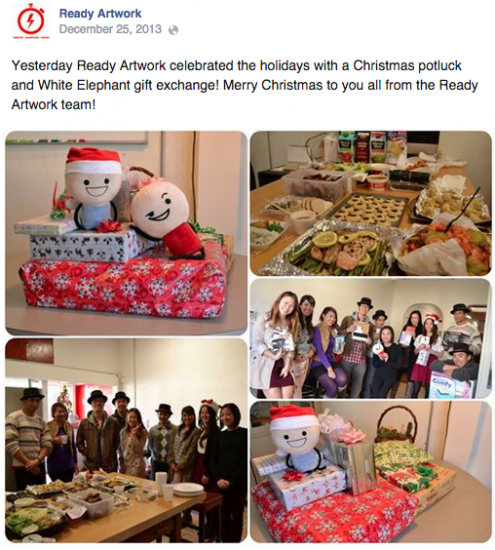 For example, for Christmas 2013, we shared a photo of the company potluck and gift exchange. 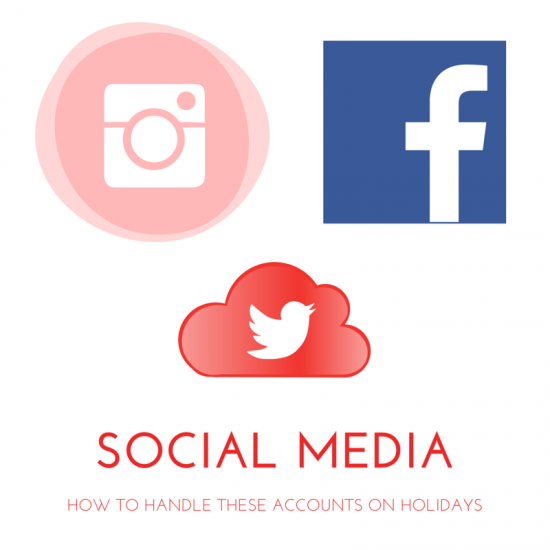 Following these guidelines can help you make sure that your business’s social media accounts can be handled perfectly this holiday season and every holiday after that! If you have any questions about social media campaigns or social media management, please feel free to contact us or give us a call at 626.400.4511!